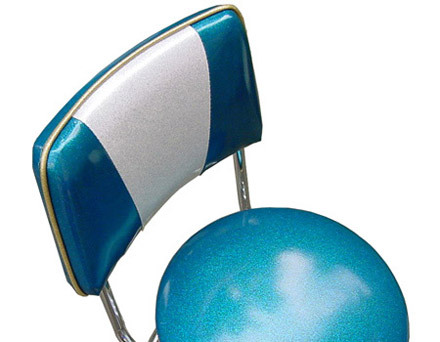 THE ONLY PLACE TO SIT in the neighborhood bar, ice cream shop, restaurant or entertainment venue. 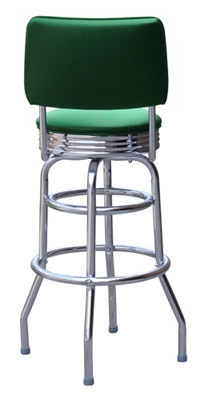 Our sparkling double ring chrome bar stool with chrome seat rim and backrest features heavy duty 1" tubular steel contruction. 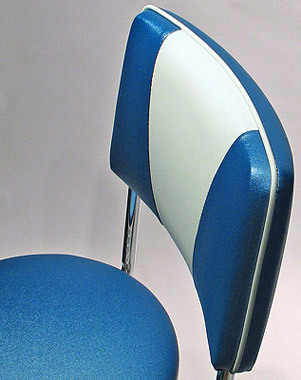 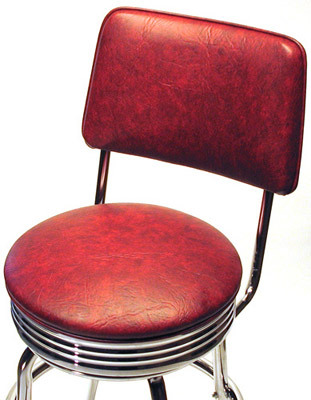 All chrome stools are equipped with revolving swivels. 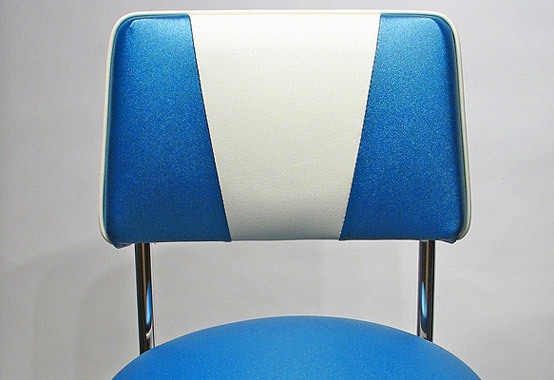 Bar stools are are available in a wide variety of upholstery materials including Cracked Ice Vinyl and Naugahyde Zodiac Glitter Vinyl. 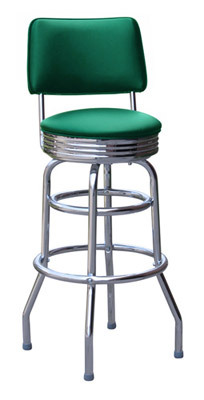 Click here for general chrome bar stools pricing. 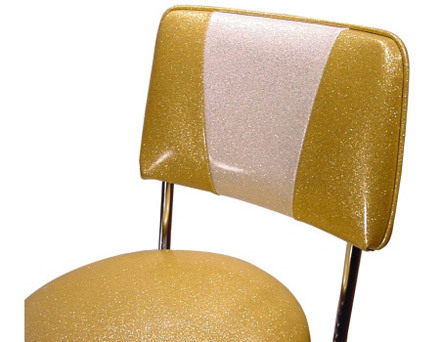 Please request a quotation if you are considering a large order.